"It may very well be the last power supply upgrade you ever purchase." "There is no stronger statement I can make than this: once I purchased my first PS-1, I’ve purchased no other power supplies (and I purchased a second PS-1; soon to be a third!). Sonically, they’re magnificent. The noise floor disappears, and they bring a clarity and richness that is unparalleled. I also love that there are four configurable outputs. Cost-wise, they’re very reasonable as compared to the alternatives. The convenience of one box when using multiple devices is not to be underestimated." The modular PS-1 linear power supply is powerful, affordable and modular. Power up to four devices at once—it's the last power supply you'll ever need! For DC powered devices, replacing the standard 'wall wart' switching mode power supply with a robust, quiet linear power supply can reap huge sonic benefits. For years, customers who purchased our award-winning "micro" products (Remedy, bLINK, µDAC, Recovery, etc.) have asked us if we also made a linear power supply to increase their performance, but our answer was always an unfortunate "no." No longer! The new PS-1 modular linear power supply is a truly innovative product at an affordable cost. 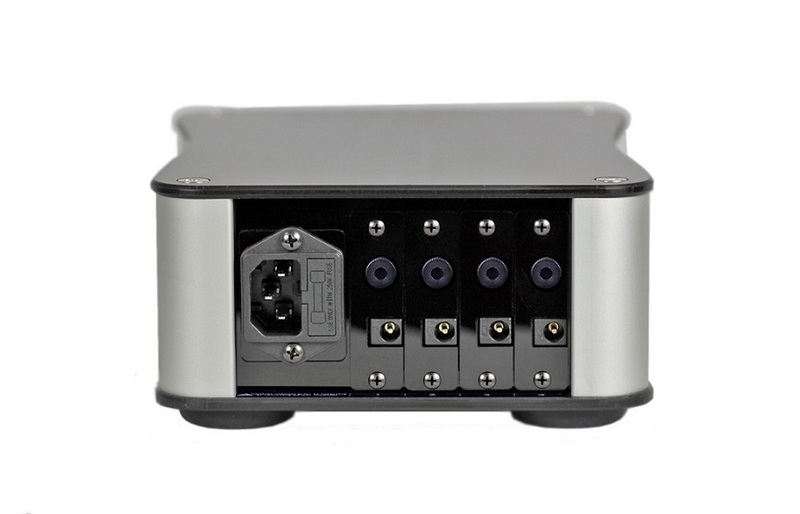 In the crowded world of linear power supply units, the modular design of the PS-1 is unique. Most power supplies are a fixed voltage and made to power a single product. Some power supplies offer dual (and in the rare instance, more than two) outputs with different voltages. A very rare number of power supplies offer more than one output AND allow the user to select the voltage. Typically, these power supplies are large, heavy and ridiculously expensive. And none, to our knowledge, are truly modular. Enter the PS-1. The beauty of the new PS-1 starts with an emphasis on real value: it's modular design allows up to four devices to be powered at once, and they can even be different voltages! The PS-1 has four power zones in back. Each power zone holds a power module. Each power module can be set to one of four voltages (5v, 9v, 12v, 15v) and can power one device. To change the voltage, simply slide out the module, move the internal switch to the new voltage, and slide it back in. The front panel's LED display instantly tells you which zone(s) and voltages are in use. Additional power modules can be purchased as needed, ensuring that now and in the future, you won't have to worry about powering your devices. The new PS-1 is just 6.25" x 8.25" x 3.25". Additionally, since it is made out of extremely sturdy but lightweight material, most of the weight comes from it's very robust R-core transformer. Compared to other power supplies the size and weight of some amplifiers, the compactness of the PS-1 makes it extremely easy to place and work with. The PS-1 offers real value and innovation. No longer do you need to pay hundreds of dollars (or more) for a power supply that only powers one device. The PS-1's modularity allows it to grow as your system does. Its price, performance level and real flexibility makes the PS-1 the new standard bearer in power supply units! We're pleased to announce the availability of new higher-current power modules. The new high-current modules will accommodate the same voltages (5, 9, 12 or 15v) but capable of up to 3A (instead of 1A for regular power modules). The higher current module can facilitate up to 2A continuous current. 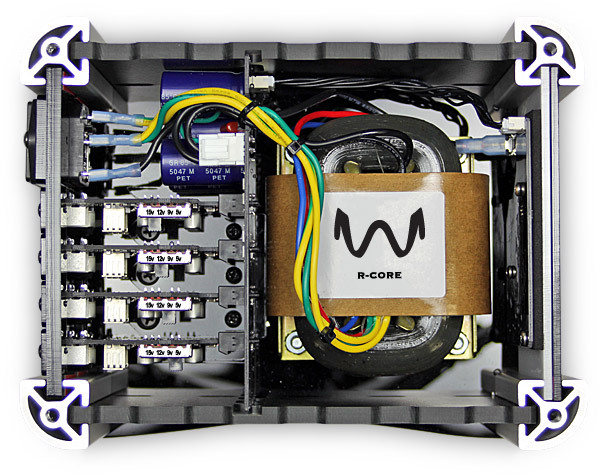 This is the about the maximum current on tap for the PS-1 R-core transformer. However, it's important to take a look at the true power requirements of the unit(s) you're powering. Many times, the inrush current of turning a unit on is more than it's normal operating current. If this is the case, you may employ more modules on the PS-1—up to ~4A total maximum operating current. You can use up to four regular power modules or up to one high-current power modules + one regular power moudle per PS-1. Due to significant cost increase in parts to produce the higher current module, pricing for the high current module is $500 each. 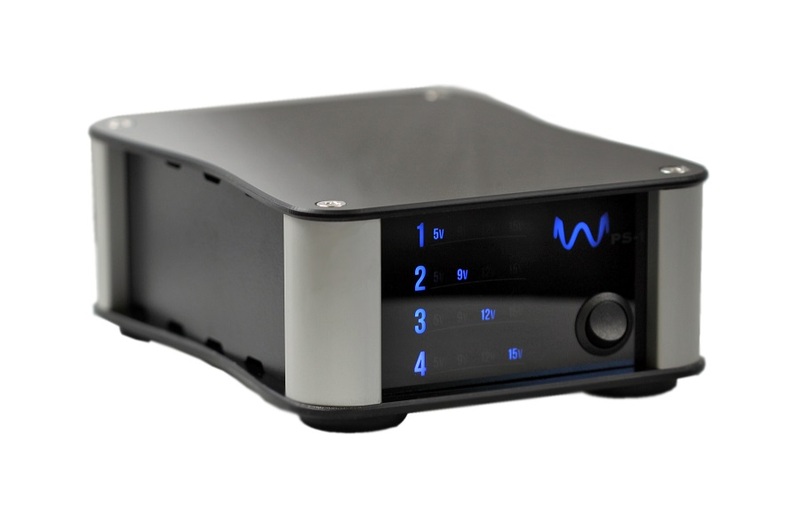 Purchasing notes: The PS-1 base unit is $399, power module not included. Add power modules (one for each device you wish to power) from the 'Power modules' dropdown below. Each power module is user-selectable for 5, 9, 12 or 15v. Order up to four regular power modules for devices up to 1A each. Order one regular power module and one high-current power module as long as max power draw on the high current module is 3A or less. Each power module comes standard with one 1 meter long, 5.5mm (OD - outer diameter) x 2.1mm (ID - inner diameter) male barrel plug DC cable to connect your device. This is a very typical barrel plug size that fits most DC inputs, but please double check yours to be sure. Should you need to substitute for a cable with a 2.5mm (ID) connector, tell us how many you need to substitute using the "DC cable 2.1mm to 2.5mm" dropdown. Each power zone is independent and can be set to any of the four specified voltages. *Four devices assumes up to 1A per device. The PS-1 is right up there with the best of the breed. With its modular design, Wyred 4 Sound’s PS-1 gives up nothing to its specific-use competition, while taking a significant lead in versatility. I’ve seen a few PSUs out there with adjustable voltage, and even some with several multiple outputs, but to my knowledge the PS-1’s feature set has never been done before. It may very well be the last power supply upgrade you ever purchase. I love my PS-1’s. I’ve done a fair amount of experimenting with power supplies. Even though I have a degree in electrical engineering, I quickly get lost in the science. But - I trust my ear (and everyone is allowed to have their own ears!) I have Teddy Pardo's, Uptone JS-2 and LPS-1, and Jameco, IFR and other wall warts. I have an assortment of power regenerators and power conditioners. I’m powering music servers, dac’s, switches, USB de-gunkers and media converters. Every power supply sounds a little different. There is no stronger statement I can make than this - once I purchased my first PS-1, I’ve purchased no other power supplies (and I purchased a second PS-1; soon to be a third!). Sonically, they’re magnificent. The noise floor disappears, and they bring a clarity and richness that is unparalleled. I also love that there are four configurable outputs. Cost-wise, they’re very reasonable as compared to the alternatives. The convenience of one box when using multiple devices is not to be underestimated. PS-1 dimensions: 8.25" x 6.25" x 3.25"